this is a picture i took a while ago but never used it as a post. when we had some of those bad rainstorms a while back a leak sprung in the corner of my room. 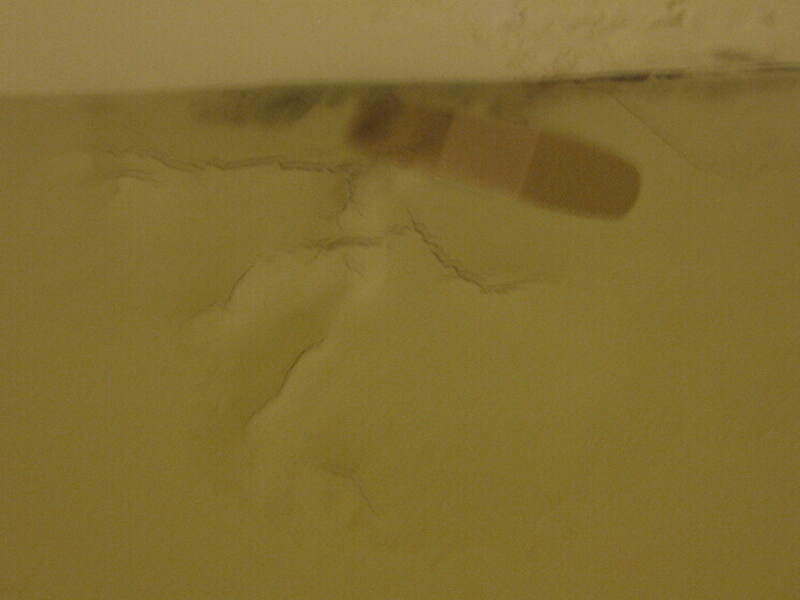 when i first noticed the leak i thought hmm lets try a band aid. didn’t work too well but maybe if i used a bunch of band aids it would have kept the water from dripping in. this is not one of my best posts but maybe if i had used the tough band aid strips it would have held back the leak more than the sheer strips which i used.